Emergency medical service vehicles, more commonly referred to as EMS vehicles, are designed specifically to take on the challenges of providing care to critically injured or sick individuals on the way to the hospital or other health care provider. For aging vehicles or those that have sustained serious damage in a crash or other incident, remounts can provide a new lease on life and a convenient way for agencies to save money over the cost of a brand-new vehicle. 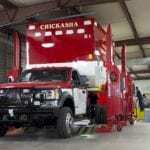 Here are some of the most important points to remember about remounts for your emergency medical service vehicle. EMS vehicles include a chassis, cab, engine and an array of components designed to help emergency services personnel to provide safe and effective care for their patients. A remount involves removing the EMS module from the current cab and chassis and installing it on a new cab and chassis. In some cases, your remount specialist will also renovate and refurbish the EMS module to ensure the best results for your agency. 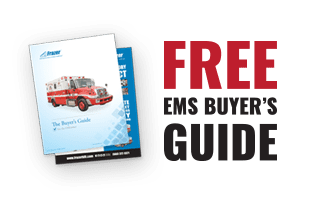 Your used ambulance dealer can provide you with expert guidance on the most effective strategies for your EMS remount. At Frazer, we offer customized remount services for EMS modules that can help you get the most from your agency’s investment. If your chassis is beginning to show the telltale signs of age and wear, our remount services are an ideal way to save money while ensuring the greatest safety and utility for first responders. Give us a call today at 1-888-372-9371 to request a quote and to discuss your options with our expert technicians. We look forward to the opportunity to work with you.